I’ll be documenting everything that has anything to do with 2.5 gallon contest in this thread. Ofcause these are my own experiences and I honestly have no idea how this is going to turn out, as most of this setup, techniques, materials are out of my comfort zone. There are no official rules posted yet so this is just a “dry” run at aquascape, filtration options, stocking options and other weird stuff. Looks like you are off to a great start! I have almost all the pieces together for mine now. This should be a lot of fun. Excited to see what direction you take it for stocking! Really like the rock placement, particularly on the left side where you have rock nearly reaching top of the water line. Makes me want to rearrange my rock work a bit! Thanks guys but it’s just a prototype mock-up. Honestly, I don’t know exact direction that I’ll be going with. Corals choice is going to be touch. Probable softies and some encrusting kind. I did come up with an amazing flow solution but that’s going to have to wait. Hipe you guys start a little thread of your own on 2.5 build. I like to check what others got up their sleeve. Gotta start somewhere right. I plan on starting my thread when I finish the scape. Think it’s going to be unique but will have to see how it turns out. I know one coral I want to do is a gsp mat on the bottom glass as I’m going BB. can we get a face on photo? and what tank did you use? look like it a janky that was derimmed? I was thinking of sand and almost went with it but my new bottom fed "innovative" vortech wanna be circulation pumps will create a sand storm. So no sand. On the side note, I'm probably bailing out of this contest but will build this 2.5 the way I WANT IT. So, if you're interested, stop by anytime. Totally understand with the HOB only rule but will definitely be watching your progress on this build. Looks like it will be a great one! I’ll post a short video of my Frankenstein “Vortech” wanna be pumps in a bit. Appreciate it! I’m hoping all get the build thread going by the end of the week. Almost have my scape finished for it. If I can be of any help just ask or PM me. Introduction to the “Magic Nano Wave Pumps”. Enough flow for most corals. Silent. Downward flow = corals get plenty of nutrients during feeding time. Pulls water skim of the surface down and makes surface skimming “almost” unnecessary. That’s one of the coolest ideas you could have for flow in a pico! Thanks. Might call them Little Blue Waves lmao. Next: new carpet, the “real” filtration and not that bs HOB crap. “Natural” nutrient export, ATO and coral list (general ideas). What’s a SW tank without having to do some extra home improvement work haha. ATO is something I have to figure out still. Originally I was going with continues water change system because that tinny HOB would not be efficient enough to handled livestock I have planned to keep. However, now it’s a different story. My filtration will be able to handle just about anything and I’ll keep the Alk levels thru ATO+Kalkwasser. My solution is a bit costly so you probably don’t wanna go that route. On the cheap side I would go with this or similar. All you need is a small container of RO water and slow drip to your tank. They have various drop per minute rate. 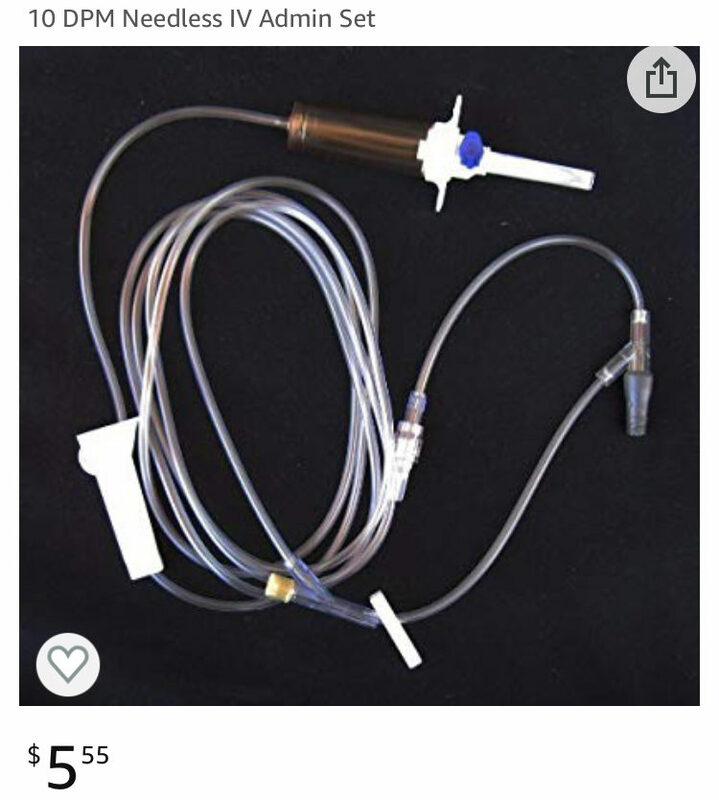 This one is 10 drops per minute. You can also add Kalkwasser (one teaspoon per 1gallon) to that RO water and that will keep your Alk in check when you fill that tank with stonies. With softies, you don’t really need it (or you might need just a bit) but you can add like 1ml of strontium and and half a ml of iodine. I can’t deal with that. We can figure out what the prize might be. wow, this thing is gonna be awesome. I can't wait to see what you do bud 😁. On a serious note, are you going with fish? 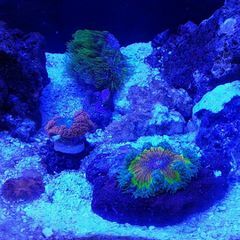 Or are you just sticking with some corals and inverts? And absolutely YES, fish and invert(s). 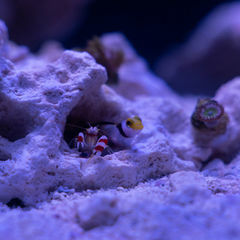 You gonna do like a tailspot blenny or clown goby or something? Maybe a rock flower nem or two?